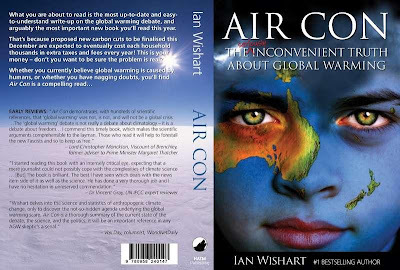 Ian Wishart's new book on the "Climate Change" scam hits NZ bookshops tomorrow. The book will also be available overseas. Track it down. Buy it. Read it. Promote it. Get googling. Im half way through my copy. It is outstanding I cant put it down. Yup its actually global reddening not global warming.